Throughout his 25 plus years of practice, Mr. Masinter has focused on complex business and corporate litigation. He concentrates his practice on corporate disputes, breach of contract claims, securities litigation and arbitration, and unfair trade practices. He has also advised large and small companies on crisis management, including in connection with government investigations. Mr. Masinter is Chair of the firm's Litigation Section and Co-Chair of the Securities Practice Group. He joined Stone Pigman in 1990. Representing Tennessee-based investment advisory firm Consulting Services Group, LLC in a claim arising out of the collapse of an investment fund. The lawsuit was removed from state court in Baton Rouge to the United States District Court for the Middle District of Louisiana. The case is currently pending in the district court. Represented private equity firm in connection with class-action lawsuit brought against a company it owns. Also assisting with insurance coverage issues in the matter. Represented Maryland-based Client Network Services, Inc. in a lawsuit against the State of Louisiana for the State's bad faith termination of a $197 million contract for computer programming services. Obtained a favorable settlement of the State contract termination and subsequent arbitration of termination costs. Also assisted the client in connection with several government investigations arising from the dispute. Represented several major securities firms in securities litigation in both state and federal courts in New Orleans. Represented a family-owned investment company in a securities claim in a FINRA arbitration in Memphis over the loss of millions of dollars invested in a bond fund. Obtained a favorable settlement after arbitration began. Represented Consulting Services Group and some of the company's principals in securities litigation filed in Louisiana state court in Baton Rouge and ultimately obtained a favorable settlement. The lawsuit arose from the failure of Morgan Keegan bond funds. The case not only involved allegations of securities law violations, breach of fiduciary duty and fraud but also complex issues concerning indemnity and contribution. Represented an international liquid bulk storage company in a product liability dispute in the United States District Court for the Southern District of Ohio (Cincinnati). The claims involved allegations that a transfer hose failed, causing damages to the facility as well as causing the company to incur significant environmental clean-up costs. Represented an international bulk liquids trading company in an international arbitration in New York in which a judgment was obtained for all damages suffered by the client as well as attorneys' fees and costs. Represented a real estate developer in a criminal case in the United States District Court for the Southern District of Mississippi (Gulfport) where the government brought charges for Clean Water Act violations, mail fraud and conspiracy. Represented a major manufacturer of telecommunications equipment in a breach of contract/fraud action where plaintiff alleged the destruction of its business and $2 billion in damages plus punitive damages. Case filed in the federal court for the United States District Court for the Eastern District of Louisiana. Represented clients in FINRA arbitrations of securities law, breach of contract and unfair trade practices claims. Represented brokers in FINRA and Louisiana state regulatory investigations and proceedings. Prosecuted and defended claims for breach of employment contracts, including claims to enforce non-competition, anti-raiding and confidentiality agreements. Mr. Masinter served as a law clerk to the Honorable James L. Dennis of the Louisiana Supreme Court, 1987-88. He is a member of the American Bar Association Sections of Litigation and Business Law. He is currently Co-Chair of the Meetings and Programs Subcommittee of the Business and Corporate Litigation Committee of the ABA Business Law Section. He is also the former Chair of the Business Torts Subcommittee and Newsletter of the Committee. Mr. Masinter has spoken at ABA meetings on litigation and arbitration topics and acted as an instructor for the National Institute for Trial Advocacy. 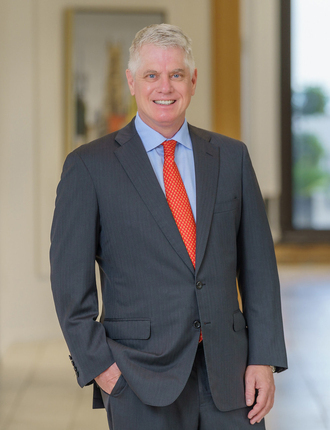 He also is a member of the Louisiana State Bar Association, New Orleans Bar Association and the Securities Industry and Financial Markets Association. Mr. Masinter recently became the Chair of the Board of Directors of The St. Charles Avenue Association. Mr. Masinter is the former Chair of the Board of Directors of Lighthouse Louisiana and continues to serve on its board. He is also a member of the Board of Commissioners of the New Orleans City Park Improvement Association (where he served as the President from 2007 until 2009), the Board of Directors of the New Orleans Botanical Garden Foundation, and the Board of Commissioners of the Hurstville Security and Neighborhood Improvement District. In 2017, Mr. Masinter was asked to join the Dean's Advisory Council for the Humanities and Social Services College, Louisiana State University. Mr. Masinter formerly served on the Board of Trustees of Trinity Episcopal School, where he was Vice-Chairman and Chairman of the Development Committee, and the Board of Trustees of the New Orleans Museum of Art. He is a past president and board member of Save Our Cemeteries, Inc. In 2018, Mr. Masinter was named by Chambers & Partners as a leading lawyer in Litigation: General Commercial Litigation. Mr. Masinter has been named to the Best Lawyers in America and Louisiana Super Lawyers and is AV rated by Martindale-Hubbell. He has also been listed in New Orleans magazine as a Top Lawyer, and was named a Leader in Law in 2011 by New Orleans CityBusiness. Moderator, "Game of Twitter - Litigation in the Age of Social Media," American Bar Association Business Law Section, Annual Meeting, September 2015. Moderator, "Avoiding Discovery and Trial Practice Disasters: Tales from the Bench and Trenches," American Bar Association Webinar, March 2015. Moderator, "Avoiding Discovery and Trial Practice Disasters − Tales from the Bench and Trenches," American Bar Association Business Law Section Annual Meeting, September, 2014. Panelist, "Finishing Touches: Necessary & Appropriate Accommodations to Improve Our Profession," Louisiana State Bar Association Disabilities Summit, October 2013. Moderator, "Keeping Cool when Betting the Company: General Counsel in Corporate Crisis," American Bar Association Annual Meeting, August 2013. Moderator, "Daubert - More Important Than You Think in Business Litigation," American Bar Association Annual Meeting, August 2006. Co-Author, "Game of Twitter - Social Media and its Impact on the Practice of Litigation," Business Law Today published by the American Bar Association, March 2016. Co-Author, "Securities Arbitration Law," chapter in Recent Developments in Business and Corporate Litigation, 2015 Ed, published by the American Bar Association, May 2015.